A gigantic hydraulic cylinder - which has been created to protect the east England town of Boston from North Sea flooding - is the unmissable highlight at the Hunger Hydraulik Group’s stand at HANNOVER MESSE 2019. 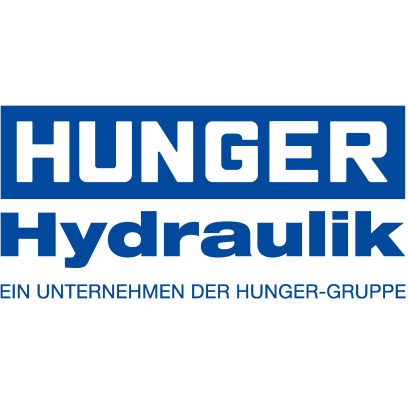 As a global corporation specializing in the metal and capital goods industries, the Hunger Hydraulik Group is one of the world's leading suppliers of hydraulic solutions. Having accumulated more than 70 years of experience and impressive product, production and application know-how, Hunger skillfully combines hydraulic components to create bespoke modules and systems using state-of-the-art technology. As a result, customers receive end-to-end systems geared toward their specific needs that can satisfy stringent requirements even under tough conditions. For this year’s HANNOVER MESSE, the Hunger Group has chosen to show off something quite spectacular. Its gigantic hydraulic cylinder designed to act as a tidal barrier is sure to be an event highlight that make waves way beyond the Hunger Group's stand. Measuring twelve meters in length when retracted and weighing in at 44 metric tons, the cylinder on show is a real colossus with a diameter of 1.2 meters and pulling force of 950 metric tons, putting it in a class of its own. This gigantic structure was built for a tidal flood defense system in the port town of Boston located on the east coast of England. This project, dubbed the Boston Barrier, is designed to prevent North Sea tidal waves, which have caused the town to flood on multiple occasions, from reaching the city center via the local Haven and Witham rivers. The barrier comprises a 25-meter-wide gate that covers the entire width of the river and is entirely submerged when opened, meaning currents aren't obstructed and ships can pass with ease. The gate, which weighs an impressive 370 metric tons, is raised using two hydraulic cylinders manufactured by Hunger until the river is completely sealed off. Each hydraulic cylinder has a piston diameter of 860 millimeters and a piston rod diameter of 400 millimeters. Combined with a travel distance of 8,015 millimeters, this enables each of them to produce a maximum pulling power of 950 metric tons. The hydraulic cylinder on show in Hannover and its counterpart will be shipped to England and integrated into the tidal defense system in May this year. So the townspeople of Boston will soon be home and dry in preparation for the seasonal floods in the winter of 2019/20 and beyond.